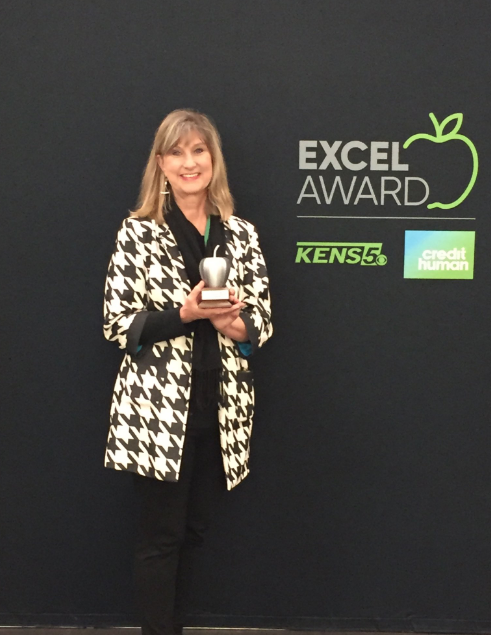 Fort Sam Houston Elementary School 2nd grade teacher, Mrs. Kim Ware, was recognized and awarded the KENS 5 Excel Award on Tuesday, November 13th in a school wide assembly. In her nomination it read, "She sets an example of outstanding teacher leadership at Fort Sam Houston Elementary School. She shows up every single day with a smile on her face and she is never afraid to try something new. She was one of the first teachers to implement restorative discipline and circles in her classroom." 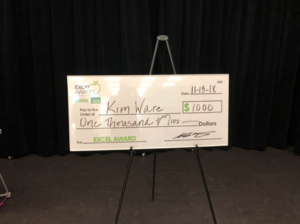 KENS 5 will air the presentation and Mrs. Ware's announcement on Thursday, November 15th at 6 a.m. and a replay at 6 p.m. Along with her KENS 5 Excel apple, Mrs. Ware received a check from Credit Human for $1,000. 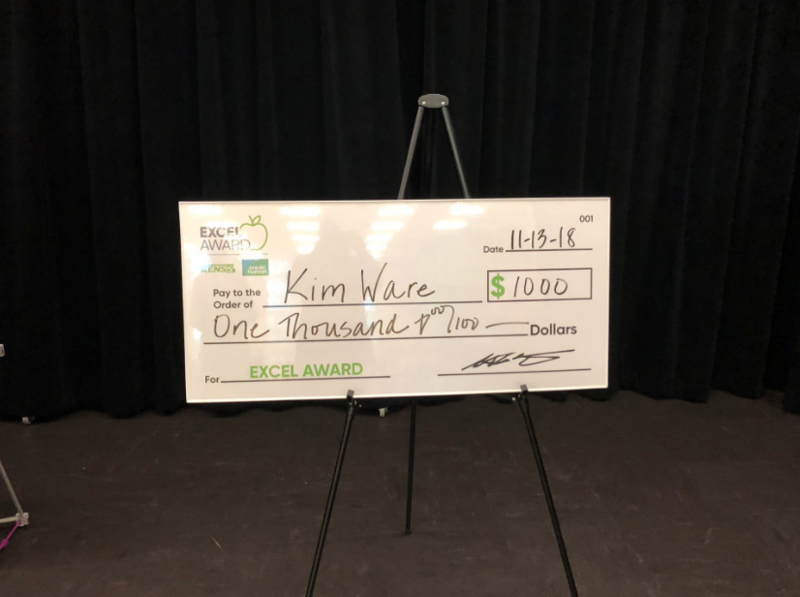 We are so proud of Mrs. Kim Ware and all she does for the children of Fort Sam Houston Elementary School.